Feeling disconnected, lonely, and overall unhappy in your marriage? Or, are you and your partner in need of a MAJOR shift to get things headed in the right direction again? Intensive couple’s therapy gives you the space and time you need to address the many issues that need to be resolved including communication, infidelity, intimacy and sexual issues, financial strains, blended families and parenting. Most couples who have intense couples therapy are experiencing a significant amount of relationship distress. Many of these couples have already started the divorce process. If your marriage is on the rocks and falling apart our intensive marriage weekend can help give you the emotional connection you crave, and set you on a path with new tools for dealing with the issues that seem unbearable and unresolvable. Have you attended couples therapy only to feel like you’re just getting to the meat of the issue when the therapist says, “Our time is up for today”? Many couples feel the frustration of feeling as if they didn’t get everything they needed to say out, and that nothing was really accomplished within the span of their 50-minute session. Working on your marriage deserves more time, space, and focus since it is one of the most important relationships you will ever have in your life. More time is often needed to address the core issues that are keeping you and your partner stuck. You aren’t struggling in your marriage because you don’t know how to communicate effectively. Communication isn’t really the main issue. It’s lack of emotional connection. You communicate every day in your career and home life. Most likely, you feel emotionally, spiritually and physically disconnected and out of touch from your partner, and have felt this for quite some time. Besides, good connection just isn’t enough. If you’re like most couples, you struggle with lack of intimacy, poor communication, and conflict resolution style. Spend 6 hours working one-on-one with Jennifer Slingerland Ryan in one full day. 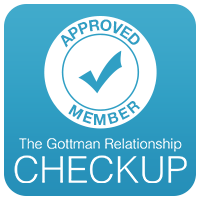 Based on your Gottman relationship assessment, attachment assessment, individual interviews, and current struggles, the counselor will provide specific tools and guides which help facilitate intimate conversations and exercises. Jennifer’s Intimate Conversations methodology utilizes Gottman’s Sound Marital House and Emotionally Focused Therapy, both of which you will learn throughout the your session(s). Jennifer is trained in both methodologies. Included in this session is the Gottman Relationship Checkup and a recommended book. PLUS, you’ll have access to my Private Client Resources page which has exercises to help your marriage at every phase of getting back on track. For your convenience, schedule one 6-hour session with the option of adding two additional hours (to make it a total immersion day). Intensives are scheduled on Mondays, Fridays and Saturdays only. Although 6 hours seems like a lot of time, when you think about how much we’re doing to get to the root of the core issues, most couples feel like they’re just getting started when we finish a 6-hour couples intensive. Continue your intensive with an optional 2-hour follow-up session at a lower cost. This appointment is done separate of the 6-hour intensive. In this optional 2-hour add-on, I will be your one-on-one coach as you and your partner manage through some difficult conversations. Currently, Jennifer Slingerland Ryan, M.Ed., LPC-S is the only therapist providing intensive couple’s therapy. you’ve essentially just completed 6-8 hours of therapy or coaching. So, think of it this way: You can come once per week for two months and get the same information as you would in a chunk of time. Go over completed assessments that you’ve done prior to our session (these are build into the cost of the intensive, but you’ll have to pay extra to get these in hour-by-hour therapy). Complete an Adult Attachment Interview (AAI) in which you’ll understand why you do the things you do, and how you operate as a couple. Get education on self- and other-assessments using Jennifer’s own TEA technique. Learn how to speak, hear, and be differently with your partner utilizing the CALM Connecting procedure (a technique Jennifer created). And finally, practice being in a dyadic conversation with your partner in which Jennifer will coach you line-by-line how to hear and say things differently in a partner, in a way that gets your emotional needs met. Most couple’s enjoy more time for difficult conversations in a coaching form, so opt for the optional 2-hour add-on. It is recommended! 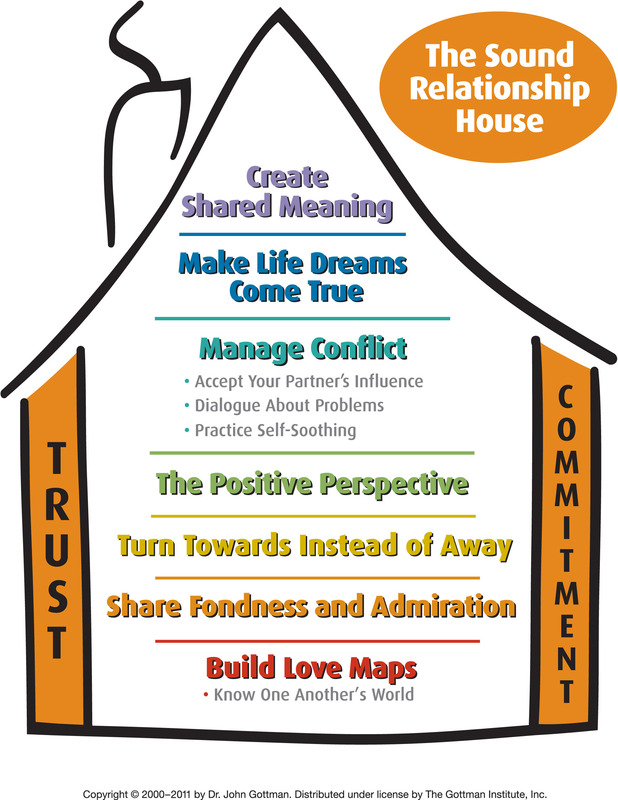 Using evidence-based counseling techniques, we guide you and your spouse to a more loving, connected space using the work of Dr. John Gottman’s Sound Marital House and Dr. Sue Johnson. Gottman’s Emotionally Focused Therapy (EFT). John Gottman’s “Seven Principles for Making Marriage Work” – A great book for couples who are having a difficult time talking to one another because words are disrespectful and angry on an almost constant basis. This is a Cognitive Behavioral Therapy (CBT) perspective for couples. Sue Johnson’s “Love Sense” – A great book examining the science of love and love relationships. See all of I Choose Change’s marriage and family book pics by clicking here.